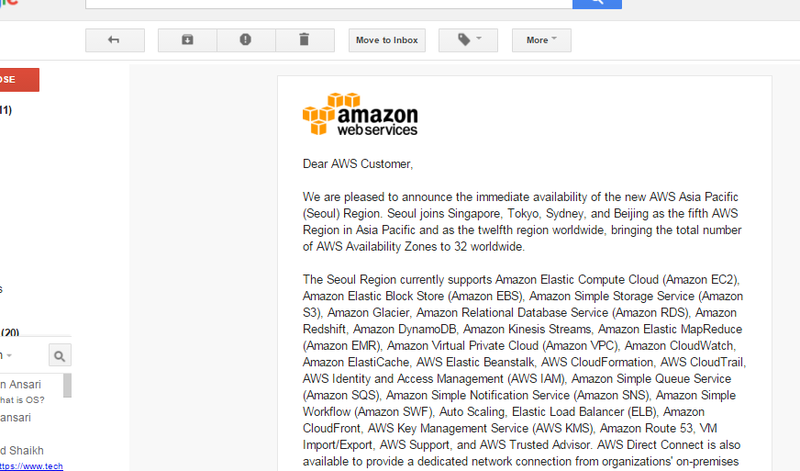 Today I received notification from amazon announcing the AWS Asia Pacific Region. It will be helpful for all users who are in Asia but hosting their servers in US region. I will provide detail information about in coming post. below is the screenshot of email which I received from them. I wish all the best for everyone who would like take advantage of this scheme. For a complete list of AWS Regions and services, visit the Global Infrastructure page.